Architectural drawings of the ›German Renaissance‹ have, with a few exceptions, remained unexplored objects. This is contrasted by the vast amount of surviving objects, of which roughly 8.000 drawings from the 16th to the early 17th century originate from the German territories. Despite being neglected for a long time, these drawings, however, convey a diverse picture of building in theory and practice, and are characterized by remarkable variations in their depiction of architecture.Aside from the various historical uses of the drawings, a closer examination can reveal the historical conditions for and the impacts of architectural drawing in general. The present study, therefore, aims to categorise the architectural drawings in order to extract their implied knowledge and to embed them in their respective historic discourses and epistemic systems.The main argument is that architectural drawings were not only tools for the design process of castles, gardens, civic buildings, or fortresses. Instead, they were part of complex communication processes, and were crucial objects of preserving architectural knowledge and invention. Architectural drawings should rather be understood as ›significant objects‹ (»Bedeutungsträger«) of cultural practices, conveying historic concepts of space and built environments.In order to determine the very diverse aspects of the architectural drawing in the Northern Renaissance, this study is based upon a select number of drawings from various regions of the German states and newly discovered written sources. Due to the lack of architectural drawings in the northern regions of Germany, the majority of the selected drawings are from the south and middle-east of Germany (e.g. 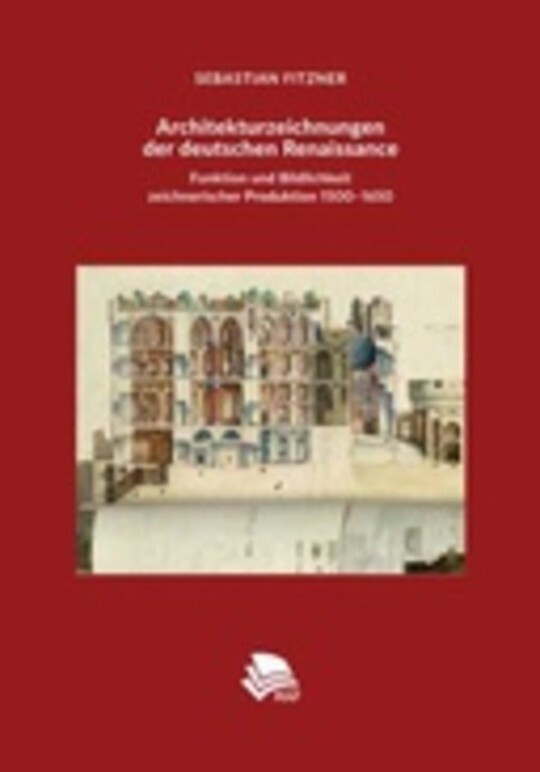 in Dresden, Nuremberg, or Kassel).The lack of contemporary art historical studies on ›German Renaissance‹ architectural drawings has made it even more crucial to focus on historic material. Therefore, this study provides written sources dealing with concepts of ›drawing theories‹, as well as the thus far unknown concept of a treatise depicting design processes and functions of architectural drawings.In order to rethink the ›visual culture‹ of architectural drawings of the ›German Renaissance‹, this study relies on traditional art historical and historical methods (»Quellenkritik«) to evaluate the written and drawn sources, and on methods of media studies and visual studies (»Bildwissenschaft«) to disclose pictorial strategies of visualization and communication.This book is structured in four main chapters dealing with theory and profession, function and impact, practice, and design techniques of architectural drawings between 1500 and 1650 in the German countries. While the first three chapters are concerned with the theory, design techniques, historic, and social context of the drawings, the fourth chapter presents case studies reflecting their function, use, and impact.Although this analysis is hugely concerned with objects originating from the Holy Roman Empire, it aims to reconstruct a general idea of the complex phenomena of production, visualization, communication, display, and collecting of knowledge by the means of architectural drawings, which can easily be applied to objects from any other ›region‹ of that period.While being mainly used for common design processes, architectural drawings are defined by their wide-ranging utilisation, ranging from legal documents to material in the civic and princely education. It can be observed that draughtsmen of architectural drawings come from heterogeneous backgrounds to include not only architects, engineers, and town master masons, but also goldsmiths, structural draughtsmen, musicians, and even princes themselves. Accordingly, drawings could be plain administrative documents or, at times, valuable collection pieces, which is reflected in their depository – objects could be found at various places at the court or civic administration such as the registry, the library, and the armoury, but also in the Cabinet of Curiosities, or in the architect’s personal archive.Even with only a small number of known approaches theorizing architectural drawings and design practices during the 16th century, it is possible to reveal a broad influence on drawing theories, especially by perspective treatises and the so-called »Visier- und Messkunst« (measuring).Reconstructing the various places of producing, collecting, displaying, and studying architectural drawings shows that architectural drawings were a crucial part in cultural processes of understanding, organizing, and dealing with the built environment. Die Physiologie und Psychologie des Lachens und des Komischen. Ein Beitrag zur experimentellen Psychologie für Naturforscher, Philosophen und gebildete Laien.